A May 2018-born Limousin cross British Blue steer shown by senior competitor Jack Kaye, Bolton, won the championship in Gisburn’s young handlers’ over-wintering competition. The 496kg champion steer, which had the second highest daily liveweight gain of 1.482kg, went on to sell at £1,250. It also achieved the third highest margin of £425 (sale price less purchase price) selling to Hargreaves Farms, Preston. However, it was the reserve champion which took highest price of £2,250. This was the best heifer, a May-born Limousin from senior competitor, Bethany Nutter, Newchurch-in-Pendle. Having been bought for £605, it left a margin of £1,645, by far the highest in the competition. Weighing 334kg, it had a daily gain of 1.201kg and sold to R.C. Shepherd, Hellifield. Judges, Drew Hyslop, stockman for Grahams Limousins, Stirling, and last year’s competition winner Beth Duerden, Blacko, chose as their winner of the class for YFC members, Thomas Capstick, Hellifield, and his April-born 404kg Limousin sired heifer. Selling at £1,380 to Richard Critchley, Preston, it left the second highest margin of £490 and had gained an average 1.062kg. 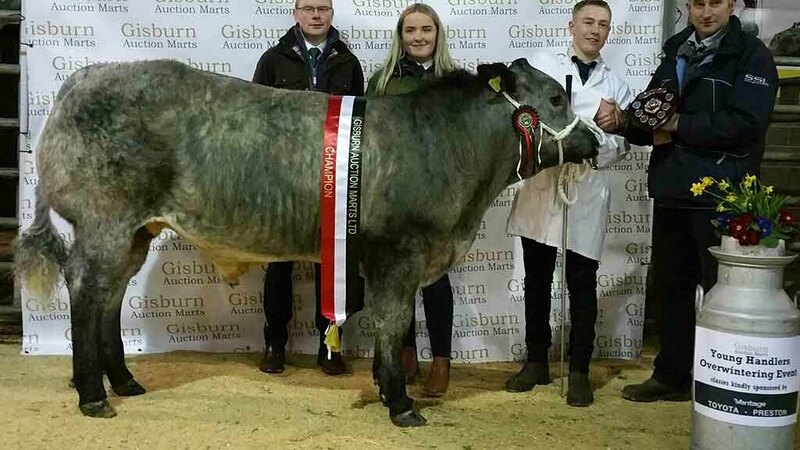 The highest daily weight gain of 1.57kg, was achieved by a 354kg British Blue sired steer from nine-to-11 year old class winner Ellie Forster, Settle. It made £750 to D.R. and G. Snow, Glasshouses leaving a margin of £165. The second highest weight gain animal, was from Ebony Dakin with a 370kg Angus steer which had gained 1.371kg daily. At £570, it sold to Geoff Eccles, Burnley, leaving a £310 margin. 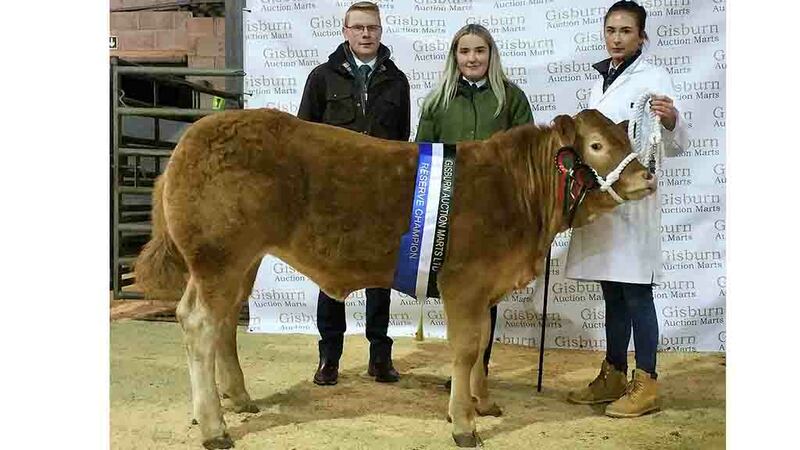 Newcomers to the competition have their own class which was won by Lilly Foster, Tarleton, who had won the under eight-year-old handling and presentation class with her May born Blue-sired heifer. It went on to sell at £770 to K. Buckley, Huddersfield, leaving a £65 margin. Average - 33 over-wintered cattle, £879.55. Auctioneers: Richard Turner and Son.